In the Bronx many patients have to travel far to find a physical therapist because there are too few practices in the borough. 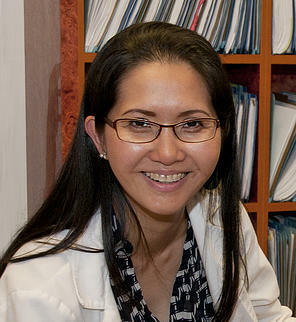 Russalette Magbanuga identified this need and decided to open her practice in the Bronx . Her relationship with doctors lead to referrals and a busy practice in a few short months. To better serve her patients, Russalette sought a loan for additional equipment. That process proved frustrating and unproductive for her. When she came to Women’s Venture Fund, we were able to see that Russalette had the skills and experience to grow this practice with a little guidance in understanding her financial data. WVF provided her with a loan and is now working with her to develop a dashboard that will help her better manage her growth by clearly tracking her cashflow. As Russalette’s patient load increases, her team is also expanding, providing employment opportunities within the community.